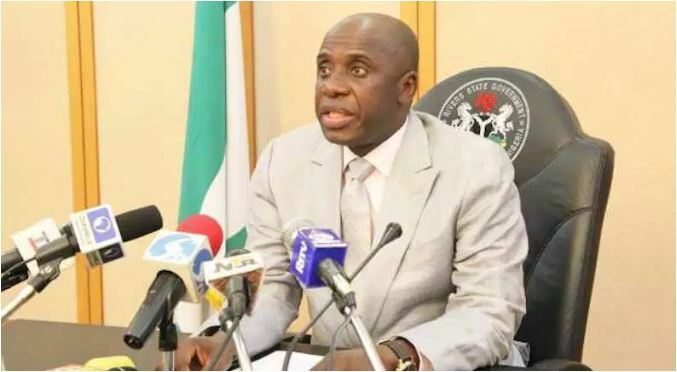 The Benue State government has refuted allegations by the Minister of Transportation, Mr Rotimi Amaechi, that the residents were responsible for the killing of two Catholic priests and 17 worshippers at Mbalom in Gwer East Local Government Area. Amaechi made the comment when he appeared last Sunday on a Channels Television programme, Hard Copy. A statement by the Special Adviser to the Benue Governor on Media and ICT, Chief Tahav Agerzua, described the comment as a deliberate strategy by the All Progressives Congress (APC) to change the true narrative on the killings. The statement recalled that APC’s National Chairman Adams Oshiomole had also made a similar claim. It said: “Unfortunately for both APC stalwarts, investigations and interviews conducted by reputable media organisations revealed, without any doubts, that the killers are Fulani herdsmen militia out on a conquest and occupation agenda of the Benue Valley and other territories in Nigeria. “Curiously, this is not the first time that a Minister of the Federal Government had made mockery of Benue people with inflammatory statements bordering on herdsmen attacks and killings in the state.